so I have 2 computer cases, a thermaltake armor and a coolmaster case and noticed for both my GTX 570 and GTX 460, the metal ends of the card that lines up with the slot in the case is just a square hole instead of being a circle to allow some kind of screw in. Till now I had just normally slipped a ziptie in there and tightened it up but was wondering on a more proper procedure to securing the cards in the case? In the past I would just slip a zip tie through the square hole and tie it real tight to the case holes, but was wondering if there was a better/more proper way to go about installing the graphic card? Are you talking about the slots on the back of the case? Look at how the other slot covers are held in and that will tell you how you're supposed to fasten the card. Some pics would be helpful if you're able. You can thumb screw on each side of the cable. "was wondering on a more proper procedure to securing the cards in the case?" 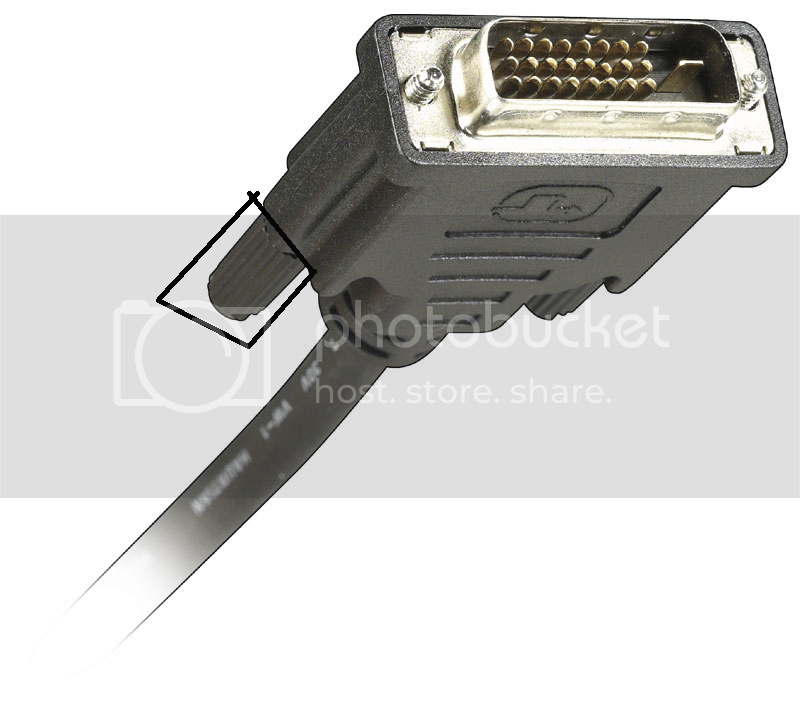 not securing the dvi cable to the card. How could he use a ziptie? those two notches where the bracket makes a 90 degree corner, you screw down into the case slots. Those 2 holes on the bracket that you have highlighted aren't for anything. the screw is just supposed to hold down the card, not fasten it in. Mine all got notches to be screwed in too.